-Blend the garlic, red chilli and coriander in an electric blender (I used the handheld blender) until the mixture forms a rough paste. 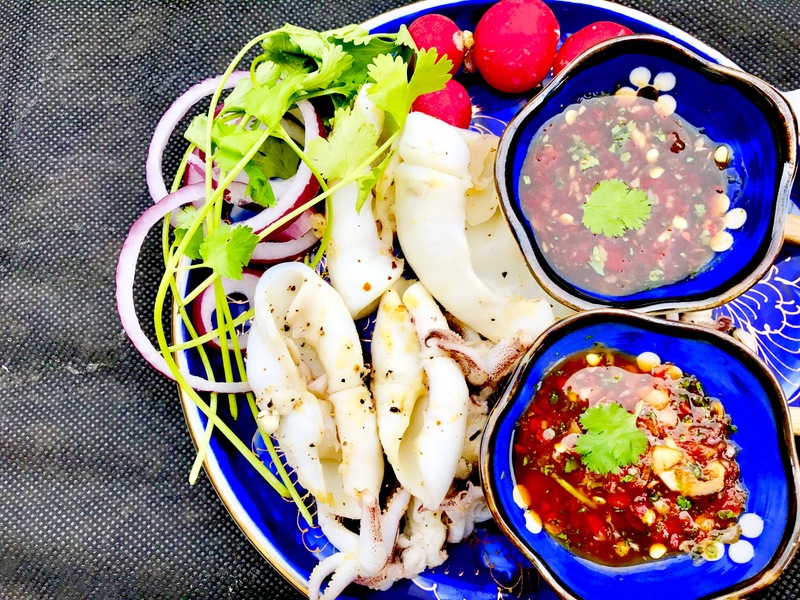 – Put 1 tablespoon of chilli paste into a small bowl then add 1 tablespoon of lemon juice, 1 tablespoon of the fish sauce and 1 teaspoon of honey. Mix it well. Your spicy seafood sauce is now ready. -In the other bowl, put 1 tablespoon of the chilli paste, 1 tablespoon of tamarind sauce, 1 teaspoon of fish sauce, 1 teaspoon of lemon juice and lastly the coconut sugar. Mix well. Your sweet and sour seafood sauce is done. – Transfer both sauces into the sauce bowl and garnish with coriander, then set aside. -Drizzle the rapeseed oil all over of the squid. Then season with salt and pepper. -Heat the griddle pan; make sure it is red hot. -Put the squid on the griddle pan and cook about 2 minutes on each side. -Once the squid is cooked, transfer it to the serving plate. 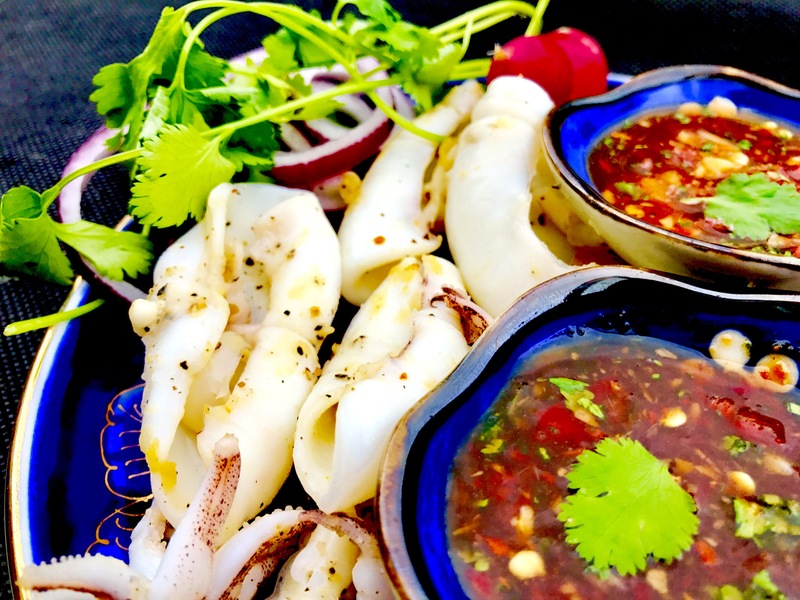 Enjoy Grilled Squid With Seafood Sauce and fresh vegetable of your choice. Yummy. Keep an eye on the grill while cooking the squid at all time. You don’t want to leave it on the grill for too long as it might turn rubbery texture.Happy cooking 🙋🏽.